On average, vinyl siding prices range from $4 to 7 per square foot installed. If you are looking for a beautiful, budget friendly house siding option, vinyl is an ideal choice. It can boost the curb appeal of your home, without breaking the bank. We will cover the cost of siding materials, accessories, professional installation, and factors that may increase that total amount you will spend. 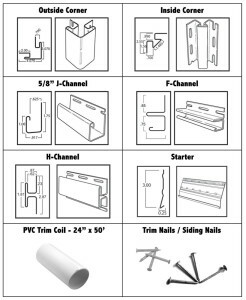 Note, estimates include siding panels, corner posts, j-channel trim, 3/8″ fanfold insulation (backer board) and all other necessary trim for lights, vents and water spigots. Homeowners across US report spending $6,000-11,000 on vinyl siding, for a 1,600 sq.ft. ranch style house. Material prices alone can be as low as $1 per square foot and as high as $7 per square foot, for premium quality, upscale brands, such as Novik. Most homeowners spend $4-5 per square foot. You should also budget for the removal of old siding, which can run from $1,000-3,000, depending on the type of material being removed. If you have old asbestos siding, it can cost as much as $10,000+ to take it down safely. Keep in mind that architectural design and complexity of your house will impact your total installation cost. The cost of siding is calculated on a per square basis (one square is 100 sq. ft.). Square is a term in the construction industry that is used to simplify communication between contractors, suppliers and architects, and most contractors will use squares in their pricing. Vinyl siding is typically sold in cardboard boxes – 2 squares in each box – 24 panels, 12.5 feet long, with 8″ exposure (D4 or double 4″ lap). Though you can buy individual siding panels, the cost will be higher than if you buy a whole box. 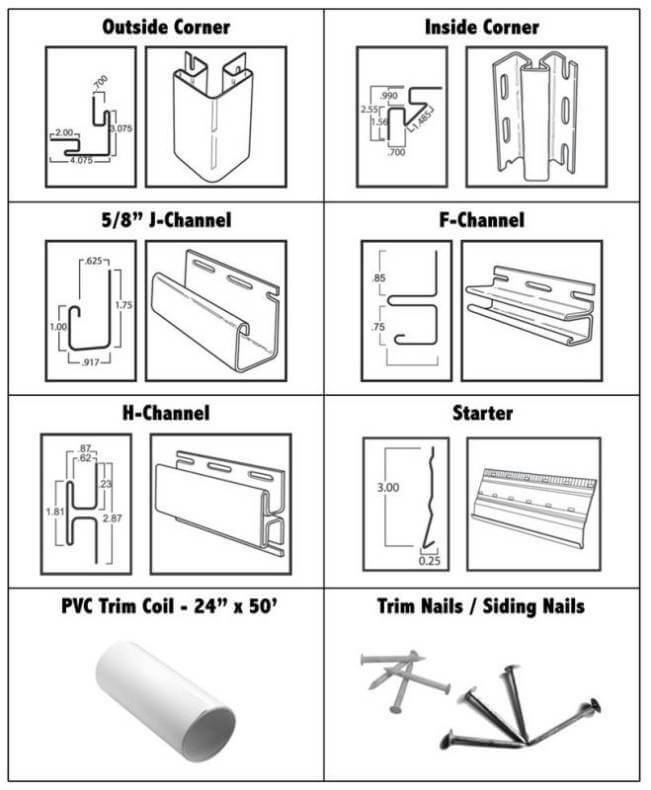 Prices for all white Home Depot vinyl siding, trim and accessories: All trim (J-channel, F-channel, Inside and Outside Corner posts, starter and finish trim comes in 10 feet long sections. All prices for white color. Other colors typically cost 3-5% more. 2 square box of “big orange” D4 .042″ clapboard vinyl siding costs $154.00 or $78 / square. Loose roofing nails, and wall insulation (backer board) or house wrap. A bucket of 2″ loose roofing nails will cost about $25-30 and Fanfold Wall Insulation (Owens Corning Foamular 3/8 in. x 48 in. x 50 ft. – 2 square coverage) will cost $37.48. In addition to the siding panels, you also need certain accessories to complete the installation and make your home look beautiful. Typically, contractors charge $3-6 per ln.ft. for the cost of accessories and installation. Depending on what you need and the quality you choose, accessories can significantly increase your total price. While you may not need all of the above items, every siding installation requires J-channel and corner posts to conceal the edges of the panels. All window and door casings need J-channel trim (unless it is a new construction window or door, with a built-in J-channel). Soffit and fascia might not be necessary if you have PVC trim on your house, but most vinyl siding jobs include these. Also, unless you are OK with having ugly holes in your siding, you probably want light and water mounts. When you talk to contractors, be sure to ask if accessories are included, and what extras you may need to budget for. Siding installation can be very simple and very complicated at the same time. Basically, most pros will charge a set amount per square installed. In a nutshell, a typical contractor will charge somewhere between $450-550 per square installed (more for premium materials, difficult installation and other extras). Also, you need to account for tear-off (typically old plastic siding, wood shingles / clapboard or aluminum siding), though if you have wooden siding, it really makes no sense to remove it. You should just install insulation over wood siding and apply vinyl siding on top. Also, the number of window and door wraps will make a difference in the overall cost. Note that siding can only buckle when installed incorrectly. For example, if panels are nailed too tight, when they expand, they cannot slide/move left or right – so they buckle. There is also some really crappy installation work, which you will notice before you issue the last payment for the job. Just make sure your contractor caulks the window copping, if of course you are paying for window metal trim. Many homeowners feel more comfortable getting their siding installed by a contractor from a big home improvement store, such as such as Sears, Home Depot, Lowe’s, Bil-Ray (markets at BJ’s Club now) and other local “premium” siding joints. These “premium siding places” make a killing on your siding installation by up-selling you into almost $1000 per square territory, telling you how they stand behind their work and so on and so forth. In reality – these stores employ your typical siding contractor (from above) who does the same work for just over half the cost, pay them peanuts, and there is really nothing to stand behind!!! Bottom line – whether you hire Joe Shmo Siding Company or a “premium joint siding company” it will be Joe Shmo or guys like him, installing your vinyl siding. 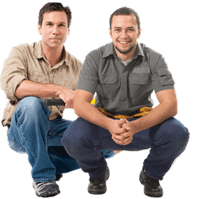 Big companies do no not hire installers – they work with sub-contractors to install their siding, windows, doors, etc., and pay them on a per-square basis. And the faster the sub-contractor finishes the work (which in return, makes quality go down), the faster they can start another project. So it is actually in your interest to hire local guys vs. a big name company, because then the quality will be better (most of the time at least). I was that Joe Shmo siding guy working for Bil-Ray – a Queens, NY Company that at the time had a Sears contract to do siding, doors and windows installation in New England, and (possibly) other regions of US. Bottom line – this is not about Bil-Ray or any other of those big guys. This is about homeowners NOT getting ripped off! Not all vinyl panels are created equal. You get what you pay for. Cheaper siding is lower in quality and is less durable. It will chip, warp and get blown off a lot easier than more expensive products. Low-end siding is also more likely to fade quickly in the sun. We recommend getting the most expensive material that you can afford, to ensure that it lasts. Another reason for the affordable price is the relatively low cost of installation. This is because vinyl siding is fairly easy to install. Even a handy homeowner can DIY the job. Consequently, contractors that put up vinyl siding do not need any special equipment or much expertise. Therefore, they charge less for vinyl than for any other siding material. 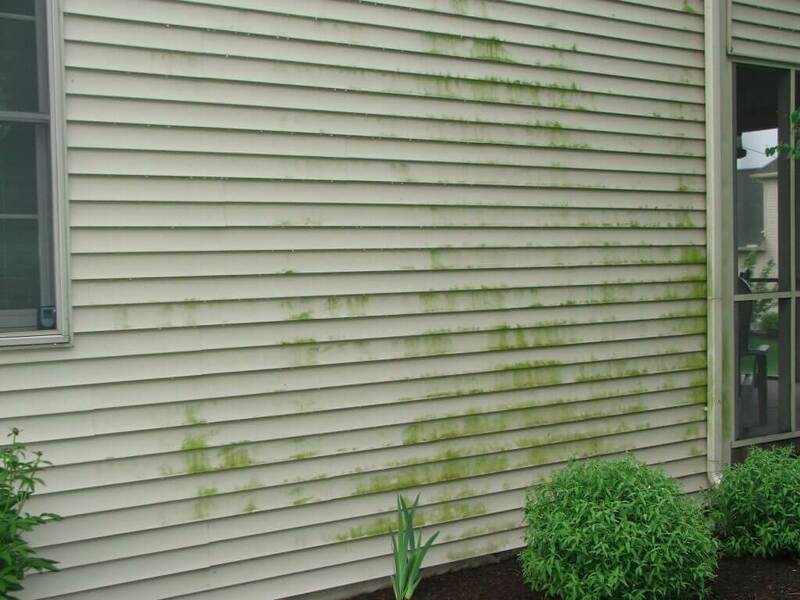 Depending on how much you are willing to spend, vinyl siding can look very different! More expensive, thicker panels replicate the look of wood or Hardie siding. They are available in different textures, colors and styles. However, cheaper, thinner panels will not look as good. Standard vinyl siding usually overlaps and creates very noticeable seams. Many homeowners do not find this attractive, and opt for more expensive vinyl boards, if they can afford it. This is a great tool. I thought I would give you current HD pricing as of 4-25-15.Here they are in the same order as above. 159.00, 19.36, 13.20, 5.97, 6.20. 10% more for colors all special order. you are right Connie – time to update this article with new prices. I will go to my supplier to confirm. Replacing windows where siding is already installed? Thank you for your complete analysis report. We need to replace few places that are bucking out. Should we get them repaired or should we change the whole house frontvwhere the sliding cynic covers are situated? Thank you for the info. i have a question though. Trying to keep costs down. Three sides of my house are stucco. One of which has nothing, due to zero property line. Would it have to have siding?